Teaneck, N.J. (February 1, 2018) – Each year, four million curious minds enter kindergarten for the first time, eager to start school just like the big kids. But what should kindergartners know by the first day of school? From following directions to working independently to academic skills, it’s a popular question that pops up this time of the year. When asked to identify factors associated with challenging transitions to school, Kindergarten teachers most frequently mentioned difficulty in following directions, working independently and lack of academic skills. Focus on activity for 15 min. Readiness for school is one of the most important factors in your child’s academic success. The Kumon Math and Reading Program enrolls children as young as three years old all the way through high school. The curriculum helps preschoolers develop important skills like the ability to work independently, identify sounds and letters, and strengthen fine motor skills. 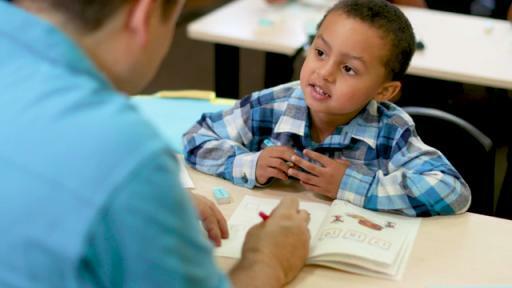 Preschoolers in Kumon cultivate time management awareness, improved attentiveness and perseverance. Give your little learners the opportunity for a big future. Kumon develops the skills needed to succeed and is offering parents 50 percent off reading program registration from February 1- March 7 at participating centers.